Over the past two years, the Sydney Cricket and Sports Ground Trust (SCG Trust) has been building what is touted as the southern hemisphere’s first fully connected stadium, providing a unique and integrated fan experience for its members and visitors. In 2014, the group struck a five-year partnership with FanThreeSixty (formerly Sporting Innovations) and adopted the US-based platform vendor’s Fan360 customer research platform, tapping data and technology to provide fan insights, marketing and sales improvements and experience enhancements. On top of this, the venue owner rolled out a new app, allowing fans to order food, watch highlights, bet on matches and buy tickets using their mobile devices. It also debuted free Wi-Fi and IPTV screens across its redeveloped SCG member stands. 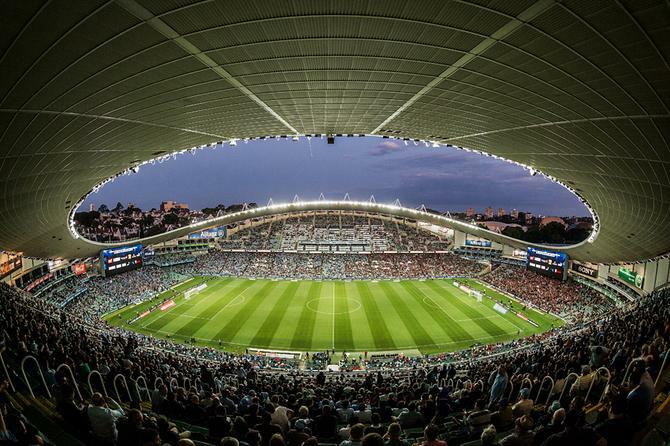 In 2015, SCG Trust then spent $20 million upgrading its second venue, Allianz Stadium, delivering free Wi-Fi, 1200 IPTV screens, two super screens and its mobile app to visitors. While the work has brought untold riches in terms of data and communication opportunities, SCG Trust GM of membership and marketing, Jane Coles, said the challenge has been capitalising on the growing array of fan insights. “We were getting all this data but didn’t really know what to do with it,” she told CMO. “We have so many customers we deal with regularly as members, but this was a whole new group, and we didn’t know how to communicate with them or what they wanted from us. The Trust is pulling an array of fresh data into its Fan360 Dimension platform, including email addresses from its Wi-Fi splash page, ticketing data and app downloads. It’s also uploaded data on its 18,500 members across both venues, plus its 25,000-strong member waitlist for the Sydney Cricket Ground. Last year, SCG Trust partnered with customer engagement consultancy, Ellipsis, to develop a comprehensive data and communication strategy making the most of the new technology in order to lift fan engagement to a new level. Prior to this, the Trust had undertaken a member and SCG waitlist segmentation project with data consultancy, Quantium. This created an array of insights on what members are doing onsite and ways of understanding, targeting and segmenting visitors. With Ellipsis, the team united this with data relating to all other visitor categories, from the general public to guests of members. Based on the work done, the Trust has developed a communication framework based on 10 key customer segments revolving around engagement: Wi-Fi and app, general public, waitlist, members of the SCG, Gold and Platinum members,guests, gym users, heritage and corporate. “When we went through the process with Ellipsis, we almost had to stop and tell them not to look for anymore because we can’t keep up,” Coles commented. “It was about prioritising the segments of most importance. The marketing and membership team has spent time, for example, investigating different game attendees or those using the gym to define similar and distinct communication needs it can fulfil via in-app messaging, EDMs and campaigns. The Trust’s Dimension platform displays all engagement metrics, allowing Coles’ team to see who is doing what and when. The team has also mapped out different customer journeys, an exercise made easier thanks to its centralised insights platform. The objective is meeting immediate customer needs based on behaviour when they visit the venues. As an example of a recent campaign for the NRL final series, the Trust worked with rugby league codes to leverage behavioural insights and come up with targeted promotions for fans. One of these was ‘four tries and get a pie’, an offer-based campaign pushed out via the app rewarding attendees with a free pie if their team scored four tries during the match. “We’re looking at the touchpoints we have with those different customers then creating strategies that match what they want while rewarding them for the behaviours we want to see,” Coles said. One of the biggest shifts operationally for the Trust has been uniting membership, marketing and ICT divisions under Coles’ leadership. “All ICT platforms complement everything else – they’re the enablers for us to get messages out and provide engagement opportunities,” she said. Technology investments continue, and the Trust is in the midst of appointing a new CRM vendor. It’s also undertaking a website content management system refresh, launching next year, and looking to introduce cashless payments. One recent achievement was integrating the trust’s email management platform, Mailchimp, with its data platform so emails can be targeted based on a customer’s lifecycle. At time of press, Coles said the Trust had chalked up 1 million Wi-Fi sessions and 15,000 app downloads. It’s also seeing an app average engagement of 28 per cent onsite. Ellipsismanaging partner, David Parsons, advised others looking to improve their data and communications strategy to never lose sight of the customer. Parsons also recommended brands identify customers as individuals, differentiate on the basis of their value to the brand as well as needs, interact based on conversation, customise treatments utilising what you’ve learnt along the way, then repeat.